I met Harry in 1980, while looking at a shortwave radio. We both saw the “for sale” ad in our small town newspaper. He didn’t really want the radio, he just wanted to give his condolences to the widow (who was selling some of her late husband’s radio gear). Of course he let me buy the receiver, although he was prepared to buy it himself (just to help her out). While nuts about radio, I was just 15 years old, and had never met a real “ham”. 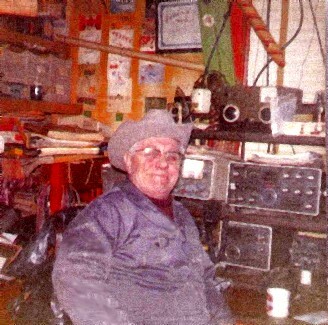 He invited me to his radio shack the next Monday night, and generously gave me the time to learn the hobby while having the most fun in my life. We spent every Monday night from then on, having fun on the air, and building projects together. Although much older than me (he grew up in the great depression, and was “saved” by the skills he learned in WW2), he was my best friend in high school. The years went by, and eventually I had to leave for university. Of course I became an RF engineer, for which he was justifiably proud! After university, I moved away and had a career. I did not get to spend much time with my old friend. We both prospered over the next 20 years… I have my own RF lab and antenna test lab business, and Harry enjoyed 25 years of retirement with his favorite hobby. Harry passed away in 2000, but I still remember him fondly. His mentorship is one of the greatest gifts I have ever received.